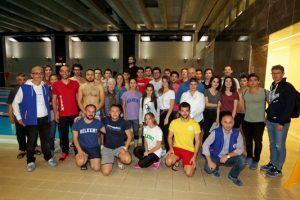 On October 11, the Bilkent swimming pool hosted the university’s annual Fall Swim Festival. Organized by the Sports Center as part of the Sports as a Way of Life program, the event attracted 68 swimmers. Listed below are the top finishers, with their times, in the advanced and intermediate categories. Ayşe Gürer – 37.22 .